Featuring medium, dark and espresso roasts with subtle hints of flavors like chocolate, caramel, raisin, cherry and citrus, Grace Hightower De Niro’s namesake coffee line provides a generous selection for java enthusiasts in search of a new fix. Grace Hightower & Coffees of Rwanda has a delicious cocktail recipe using one of her own blends and a very special ingredient to create the perfect drink. In early 2014, her husband Robert De Niro launched his premium vodka brand, VDKA 6100. Using the freshest seasonal whey from grass-fed New Zealand cows and natural spring water, VDKA 6100 is triple distilled to its purest form and charcoal-filtered to eliminate all impurities. Together, they’ve combined their brands to create a treat coffee or vodka aficionados can indulge in: the Quick Pik Me Up. 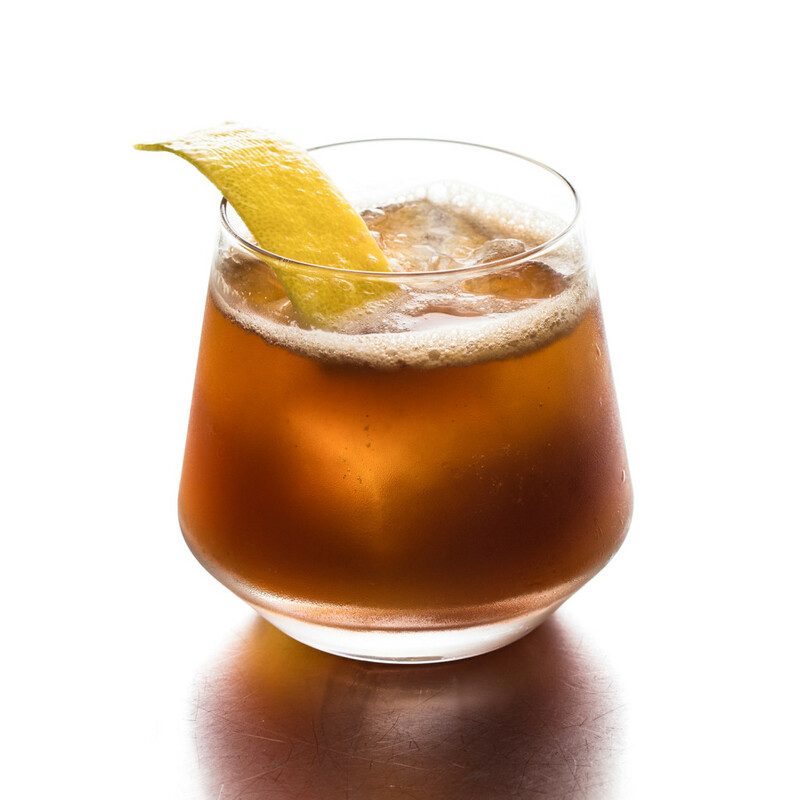 This refreshing vodka-infused coffee cocktail with hints of lemon juice and maple syrup is to be served over ice. For best results, it is recommended to soak the beans in VDKA6100 overnight for 12 hours. If you’re on the go, however, you can opt to flash infuse by sprinkling the ground coffee into a bottle of vodka and shaking vigorously. GARNISH: Serve like a traditional Italian Shot of Espresso (Lemon Slice). INFUSION PREPARATION: Infuse VKDA 6100 with fresh coffee beans for 12 hours (1 btl = .25lb) or flash infuse by grinding .25lb of coffee beans and then throwing ground beans into a bottle of vodka and shaking it vigorously. PREPARATION: In a cocktail shaker or mixing glass, add lemon juice, maple syrup and two ounces of the coffee infused VKDA 6100. Add fresh ice and shake. Strain over fresh ice in a rocks glass. Garnish with a slice or wedge of lemon. *ABOUT GRACE HIGHTOWER & COFFEES OF RWANDA: Driven to help the Rwandan community, Grace Hightower partnered with local coffee growers to create a line of products that celebrate the rich, diverse flavors found throughout their land while also promoting direct sourcing, fair trade and ethical, environmentally-friendly practices. Each year, Grace makes frequent trips to Rwanda where she visits the hardworking coffee farmers who work so diligently to help produce her namesake line.